anniversary. West Cork food producers have always appeared on the honours list and this year is no exception with 5 enterprises in total recognized. Follain Teo in Ballyvourney won awards for their orange marmalade and their strawberry jam. Gubbeen Farmhouse won three awards for Smoked Streaky Bacon, Vension Salami and Ham. Mella’s Fudge was likewise presented with 3 awards for butter fudge, rum & raisin fudge and walnut fudge. And Gwen’s Chocolates won an award for Dark Chocolate with fresh lavender. Well done and congratulations to one and all! The annual Slow Food West Cork picnic date for Lough Hyne this year is set for Sunday 17th August. Menu and booking details will be available shortly. This is always a fun event which draws a good crowd and the Convivium want to make it bigger and better this year as the proceeds will go to the Terra Madre Ireland Conference in Waterford Sept 4th – 7th. More on Terra Madre shortly, I’ve been invited to take part in one of the workshops. Frank, who is originally from Turners Cross in Cork City, explains how he first got involved in trawling 24 years ago. “Fishing grew out of a hobby for us. Myself and Martin were coming down here to Crosshaven to go angling and we got our own commercial vessel. That hobby aspect has been left behind at this stage. 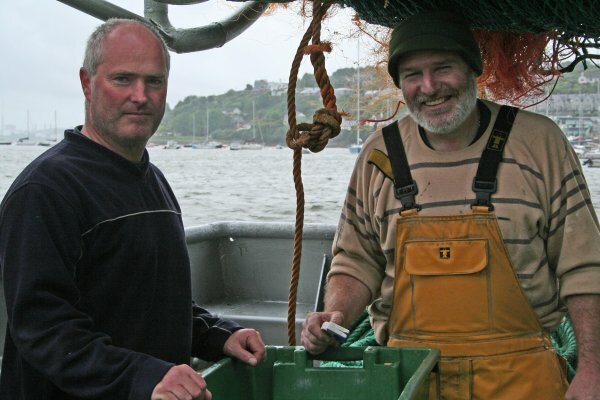 It’s a job but also a way of life and I can enjoy a good day when everything is going well.” Although Frank has since moved to Schull with his wife Katie, he continues to fish out of Crosshaven. He explains to me that the depth of knowledge they have built up about the sea bottom and the local fishing grounds more than outweighs the daily commute. Frank hopes that the scheme and the Fuchsia Brand can help fishermen market at a higher level, but it is not all about getting a higher price. “In the last few weeks we’ve seen a lot of positive public opinion about fishing. It’s very important that we demonstrate to the public at large that we are operating in a responsible manner. It is only then that we can make our case.” Well, Frank certainly made that case to me and I was delighted when as I left he offered to take me out fishing to see what a day’s trawling is like. 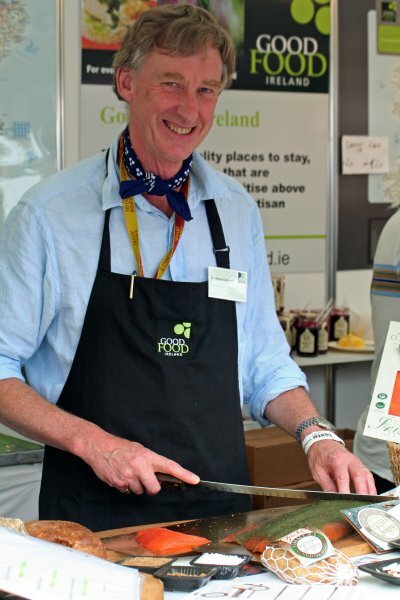 More about this anon, in the meantime, if you’d like to hear more from Frank Fleming, he’ll be speaking at the Taste of West Cork Festival in Skibbereen in September as part of the Stories from the Soil, Stories form the Sea event.